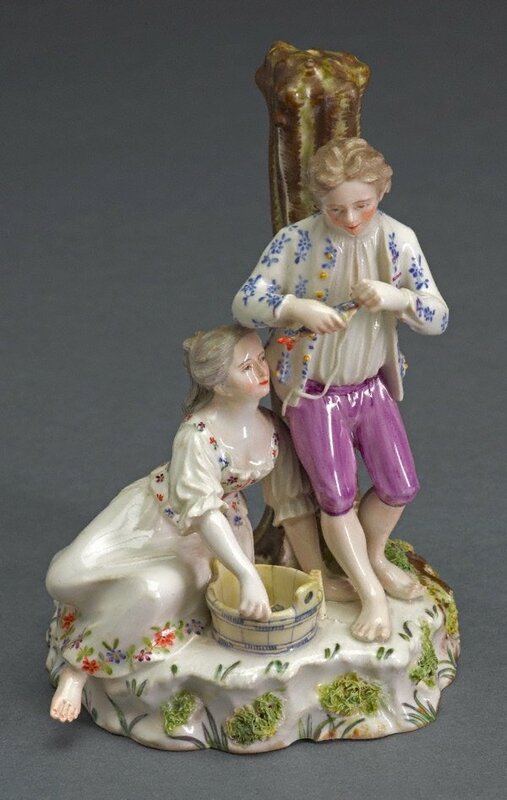 The girl looks on dreamily as the boy removes a hook (with its porcelain line still attached) from the mouth of a trout. The group was probably modelled by Johann Jakob Wilhelm Spengler. This is the same man as the J Spängler who was taken on as a figure modeller at the Derby factory in 1790, but who turned out to be a troublesome employee, running up debts, absconding to London and ending up in prison.